The office walls of BT Business CIO Colin Lees are covered with notes, diagrams and lists. To the untrained eye, it looks like a complicated mess. To Lees, the collage of paper represents a well-honed technology strategy. “I’m an engineer, so I spend a lot of time scoping things out,” he says. “Those notes are all the projects I’ve been working on during the past two years and everything I’m looking to complete going forward. After two years in the CIO role, Lees can look back on progress across a broad collection of plans and strategies at BT Business, which provides networking and communications services to UK organisations. He created a platform for improved service delivery and expects to develop both the firm’s technology strategy and his personal career. Lees joined BT as a teenager. He was studying at Queen’s University Belfast and started work as a software engineer through a work experience placement. During the next decade, he fulfilled various roles, running progressively larger software development teams. Lees eventually became platform director and managed a team of about 300 developers split between Belfast, Ipswich and India. The team was responsible for the software that manages BT’s network, covering key areas such as configuring, securing and monitoring. His experiences led him into a range of related areas towards the end of the last decade. Lees managed the UK’s voice over fibre programme and, after a brief period in San Francisco, he led the development of the SmartTalk app, which allows customers to make calls from their mobile devices over Wi-Fi at BT home-calling plan rates. 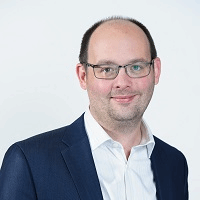 After two years as director of voice at BT Innovate and Design, where he was responsible for delivery, architecture and customer experience of BT voice platforms, Lees was appointed CIO at BT Business in 2013. Although he applied for the position, it was a role he did not expect to get. As an engineer, rather than a business-focused IT leader, he thought the interview would be a valuable learning experience, rather than a route to the top. The first task was to fix relationships, says Lees. The business team, who looked after customers, and the technology team, who were building the stack, had fallen out. The stack was being built to suit broader governance requirements from telecoms regulator Ofcom, yet the business team had started to bolt on increasingly challenging requirements for the technology department. “I just got people together and got them talking,” says Lees, referring to his realistic strategy for correcting broken relationships. He says the business and technology teams had different plans for the IT stack. Lees looked for crossover points and created a single strategic plan with one set of outcomes. Both the business and technology teams committed to this plan and a set of regular progress reviews. Lees allied this strict outcome-setting to a set of professional responsibilities. He promoted accountability and used agile methodology to focus attention on how his team would make the most of the 200-odd applications residing in the stack. Rather than aiming – and often failing – to deliver hundreds of modifications, Lees used the methodology to deliver focused and workable results. Two years on from the start of his work and the results of Lees’ three-pronged change management approach – covering relationships, realism and responsibilities – is a working stack that provides big benefits to BT Business. As well as meeting Ofcom’s governance requirements, the updated version of the stack provides a workflow for sales agents. As workers talk with customers, a web-based interface guides agents through the potential sale. Competency training for new entrants has been slashed from months to five weeks. As the system is easier to use, agents can also add new services and products during a call. With the IT infrastructure now in place, Lees says his personal focus at BT Business is beginning to change. The organisation has 850,000 customers, most of which are small to medium-sized businesses (SMBs) whose demands are managed through the enterprise stack. The firm’s remaining 9,000 customers are large enterprises that have much larger yet specific requirements, including demands for contact centres or wide-scale network connectivity. Lees says the organisation is at a turning point as it continues to develop new products. BT Business is moving away from old-style broadband and public switched data network products to cloud-based services. In the past 12 months, the firm has launched on-demand offerings for voice and phone. Lees and his team must support both agents and consumers as this transition to cloud-based services takes place. Elizabeth Eastaugh, director of technology at Expedia – Elizabeth Eastaugh is on a mission to add diversity to the software engineering community. Adam Gerrard, Yodel – Moving the parcel delivery firm from legacy IT to a digital infrastructure attracted experienced CIO Adam Gerrard to Yodel. Henrik Trepka, ISS – ISS CIO Henrik Trepka’s vision is that ubiquitous internet-connected sensors will help make the Danish facility management company the greatest service organisation in the world. “It’s going well so far,” he says, adding that the firm has focused on a big training exercise. Lees has provided support materials, both in terms of education and best-practice evidence. He took a novel approach to training and set up a dedicated desk in Belfast. Lees and his senior peers in BT Business listened into calls, refined processes and ensured the system was working correctly. In short, Lees has used an iterative approach – which draws on both customer and business feedback – to help develop the best possible technology. “Once again, it’s about trying to take agile, very simple principles and applying those IT methodologies to the enterprise world of a large telecommunications business,” he says. And change is not just confined to internal business processes, says Lees. His role is changing, too – and his boss, Graham Sutherland, is keen for him to take on a more externally facing role as CIO. Lees says he is spending a lot of his time speaking at events, something he might have shied away from in his recent, technical past. Yet the challenge is welcome. Unlike some of his more business-focused CIO peers, Lees has recent knowledge of implementing huge IT projects – and other IT leaders are keen to learn. Lees’ aim for the next 12 to 24 months is to help BT Business build on the platform and services the firm has developed. His other objective is to continue his journey towards being a more externally focused CIO. To this end, BT is giving him access to an expert leadership coach.